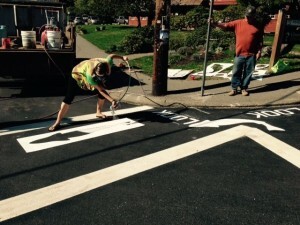 In September 2015 I was awarded my first opportunity to do a public art installation. 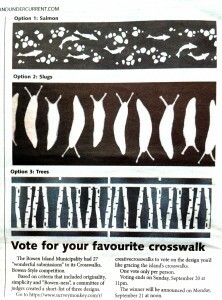 Bowen Island Municipality ran a custom crosswalk design contest which received dozens of submissions from local artists. 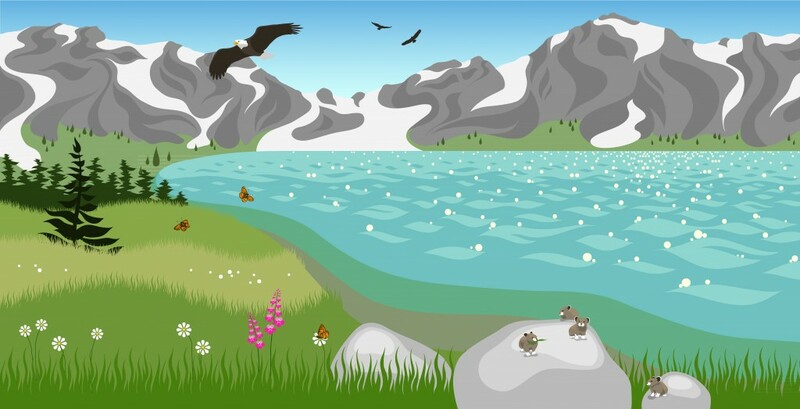 I submitted my design “Salmon Stream”, it made the top three! 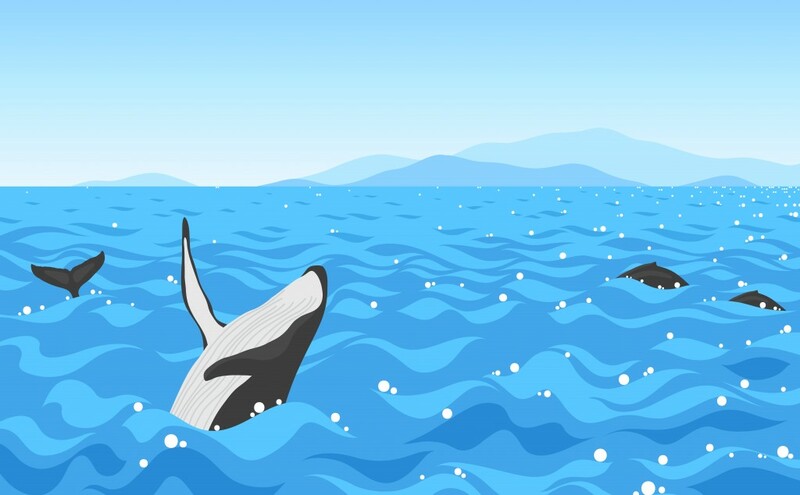 The anonymous entries were voted on by the public and it was a near tie between the salmon and grade 7 student Oscar Knowles-Dekkers‘ slugs, with the salmon coming out ahead by only a handful of votes! (Because the slugs were so popular they found a home at the crossing by BIC school, check them out as you head up the hill!). I immediately began scaling the design and creating the stencils. The salmon and river stones were outlined on plastic arena board using felt marker and the stencils were then cut using a jigsaw. Big thanks to my husband Raf for helping make such smooth cuts. The sun came out and it was time to paint! 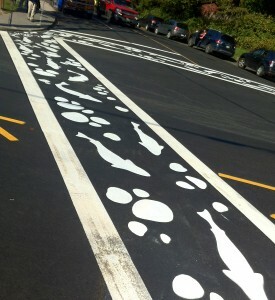 Alongside the awesome Bowen Island public works staff I sprayed on my first crosswalk. There was a bit of a learning curve with the sprayer but by the end I was having fun! Special thanks to Bowen Island Municipality for the opportunity and to Bowen Island residents for giving this design your vote! 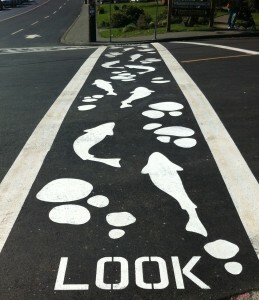 Check it out in person when you step off the ferry in Snug Cove at the intersection of Bowen Trunk and Cardena Rd.